I bought these for my 16 and 18 year old grandkids. They absolutely love it and use them everyday. They take the boost pack to school with them and their phones are totally charged when they get out. They especially like the attached cables. They used to either lose, misplace or forget the charging cable to go with their other portable charger banks. An absolute hit with them and worth every single penny and then some. Would I purchase again or recommend? Most definitely! Got this for my daughter's high school graduation as it should be a great addition to her college dorm room next fall and allow her to keep her phone and laptop charged all day. My only hesitation is there is a small plastic prong that sits above the electronic plug prongs. 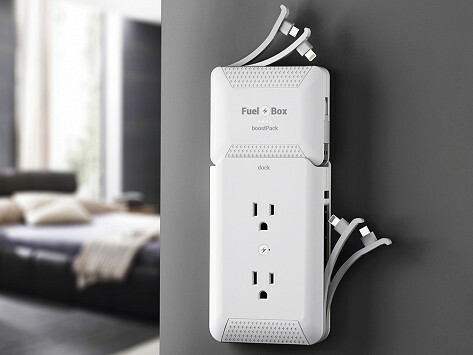 It keeps the unit from staying flush with the wall when it charges...not sure why? Really pretty handy. I wish more outlets were higher up, close to a table, and this would work better. (Not the fault of the unit.) I keep it in the kitchen so I can charge devices on the counter. I have all Apple devices so wish there was an “Apple only” choice. The detachable charger is more capable than others I have used. All parts of this unit seem very solid. The product does everything it say it will do. The battery charger gives your phone a fast charge. 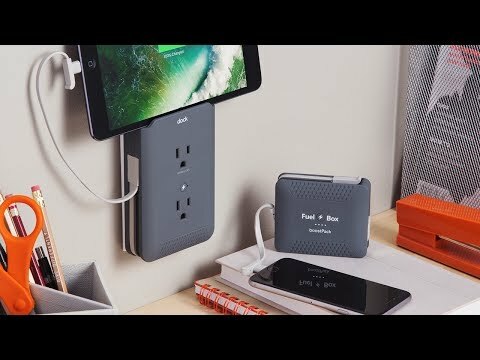 I would have given the product 5 stars but it needs to have a swivel plug in so if your outlets run horizontal instead of vertical the unit can still be vertical. It is not a clean look and the charger is being held on with the magnetic only so I am concern as time goes on the magnetic may loose its holding power. I am not happy with the product. It is very bulky. Also the booster pack could not even charge my iphone 6s twice. The cables are not long enough for multiple use. I will be returning it.